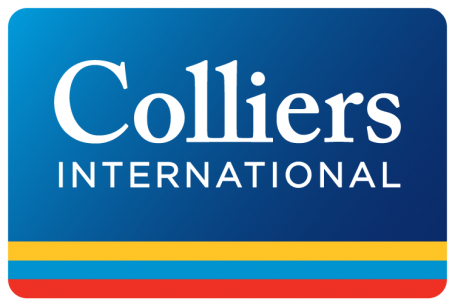 Prague, 3 December, 2015 — Colliers International today released its newest Research & Forecast Report pertaining to Q3 2015 in the Czech Republic. The report, which covers the investment, office, and industrial markets in Prague and throughout the Czech Republic, provides both summaries and analyses of developments in the last quarter, and also looks ahead to the future. The first three quarters of 2015 saw a total €2.33 billion of real estate investment transactions close across the Czech Republic. Looking at this in comparison to years’ past demonstrates the significance of the Czech investment market. There was a 50% increase in transactions on the same period in 2014 and a huge increase of 225% above the level seen in 2013. The retail sector was the most active with €172 million of transactions closing during 2015; €170 million of the transactions closing in Q3 alone. The purchase of the flagship Louis Vuitton store on Prague’s prime luxury shopping street Pařížská by Komerční banka’s new real estate fund IKS-KB Realitní Fond for a record yield contributed greatly to this record quarter. The office sector saw an improvement in transaction volumes in Q3 with a total of €206 million of purchases closing during the quarter, a 77% increase on Q2. Again, a singularly large transaction contributed to the increase. MINT Investments advised IKS-KB Realitní fond made its debut acquisition with the Olbrachtova 9 building in the Budějovická neighbourhood. The total purchase price was in the region of €50 million. The logistics sector was relatively quiet this quarter with only two transactions closed. The largest Q3 transaction was actually the purchase of the RPG Byty residential investment platform from a business controlled by Czech billionaire Zdeněk Bakala by Round Hill Capital. The total transaction volume amounted to approximately €700 million and comprised a portfolio of 43,000 apartments in the Ostrava region. Q3 was also interesting in that it witnessed the continued arrival of new capital to the Czech market, both international and local in nature. Besides the new Komerční banka fund and the entry of Round Hill Capital, we also saw local investment managers such as Redside Funds establishing new real estate investment funds that compete with many of the more established investor groups. “It is now clear that 2015 will be a record year post financial crisis and we expect that it will also be the single most successful year on record in terms of real estate investment volumes in the Czech Republic. We expect volumes to breach the €2.5 billion mark and will eventually reach close to €3 billion of transactions,” said Chris Sheils, Director of Investment, Colliers International Czech Republic. Total office stock in Prague stood at 3.19 million m2 by the end of Q3 2015. There were four office buildings completed out of which two properties were refurbishment projects. New supply totalling 55,200 m2 hit the market in Q3. The two new construction completions in Q3 included Aviatica (23,100 m2) in Prague 5 and Corso Court (16,900 m2) in Prague 8 while the refurbished buildings included B3 Pankrác (11,500 m2) in Prague 4 and Aero House (3,700 m2) in Prague 8. Interesting to note is the high amount of pre-leasing activity that has been witnessed in this and the previous quarter. For example, of the new office space delivered in Q3, nearly 40% was leased prior to completion. Despite the fairly strong delivery pipeline in Q3, the Prague vacancy rate actually dropped slightly by 0.4 percentage points to 16.4% in Q3 compared with Q2. Total vacant space in Prague amounted to 522,500 m2, an almost identical number to Q2, however 25% higher on a year-on-year (y-o-y) comparison. In absolute terms, Prague 5 had the largest amount of available office space (106,200 m2) and this represented one-fifth of total vacant office space in the city. Prague 4 overtook Prague 1 in terms of available office space. Prague 4 had 99,300 m2 of vacant office space while Prague 1 was at 82,900 m2. The least amount of vacant office space was found in Prague 10 (20,400 m2) and thereafter in Prague 3 (21,600 m2) and Prague 9 (21,900 m2). The last quarter of 2015 is expected to deliver one further office building – Enterprise (29,000 m2) in Prague 4. Enterprise will be the third largest building completed this year. Total annual supply for the full year of 2015 will therefore be 190,000 m2. In terms of prices, prime rents have been under pressure in recent years; however in Q3 rents were comparable with Q2 and ranged between €18.50 and €19.50/m2/month. “Q3 was one of the busiest quarters in terms of net take-up (53,700 m2), which we consider to be a direct consequence of a positive economic climate,” said Jana Vlková, Director Office Agency, Colliers International Czech Republic. “With a healthy level of total gross take-up in Q3 (92,500 m2) and unfilled occupier demand, the full year take-up results for 2015 should surpass the previous record of 332,000 m2 from 2014.” New office supply in 2016 will not keep pace with the development activity of 2015 or 2014. Office construction levels will be dramatically scaled back with only around 42,000 m2 coming on line in 2016. Including new Q3 warehouse supply, the total industrial inventory of the Czech Republic stood at 5.54 million m2, having grown by 408,000 m2 (or 8%) from the start of this year. Q3 was the strongest quarter so far this year in terms of new supply, with a total of 268,600 m2 delivered to the industrial / warehousing market. Interestingly, all new premises realised in Q3 were a result of built-to-suit leasing transactions and there was no new speculative warehouse space completed in this quarter. Czech Republic’s industrial vacancy rate continued to generally decline in the past six quarters and reached 5.7% (down from 6.9% in Q2). This was the lowest level of vacancy recorded over the past five years. In absolute stock terms, this vacancy translates to 315,000 m2 of immediately available space with the highest amount of vacant stock in the Prague region (118,000 m2). Some 376,800 m2 was under active construction at the end of Q3 2015 with the share of speculative developments in the construction pipeline rising to approximately 30%, compared to 10-15% in the past several quarters. Gross take-up was 344,700 m2 in Q3 which represented a slight decline of 7% in demand compared to Q2 and stood at 14% less year-on-year (y-o-y). Net take-up accounted for 223,100 m2 and was ca. 65% of the above gross take-up figure. Logistic services providers dominated net leasing activity in Q3 accounting for a 43% share. Also, lease renewal deals made up the remaining 35% of Q3 gross take-up. Headline rents in the regions, for a five year lease term, ranged between €3.70-3.90/m2/month in Prague; €3.70-4.00/m2/month in Pilsen; €3.75-3.95/m2/month in Ostrava and €3.95-4.25/m2/month in Brno.